If you come for a visit you will likely find me in the kitchen. I love to cook and I love to share my recipes. Wow, Wow and Wow. 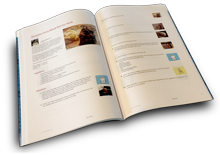 Fantastic recipes! So many different but I like them all. Not working right now or I would definately buy this book and recommend it to others!! !